with a dash of both history and dystopia. 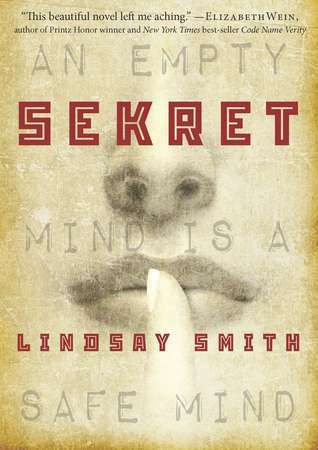 My Thoughts: Espionage thriller, KGB, psychic's and covert ops, sign me up! This novel sounds like it is going to be an action packed thriller and I can not wait to get my hands on it. In Soviet Russia you do not read book, book reads you! This book sounds really good. I hadn't heard of it, but will be adding it to my TBR list. Great pick! this sounds great, i'm very intrigued. This is the first I've heard of Sekret, but I am so intrigued by it, it sounds incredible! Everything about it makes it sounds like my kind of book. Thanks for the introduction! Loving the Soviet Russia joke there! This one sounds really good even though it's the first time I've heard of it, I'm excited to read it! Its really interesting, the fact mentioned are quite considerable and it would be better to follow out this.